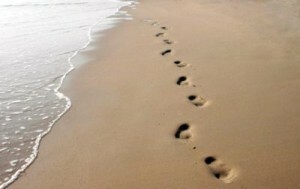 Return to a full existence – this is a natural result of full recovery from alcohol dependence. When the patient is still suffering from the craving for alcohol or psychological or physiological disorders, related to alcoholism, so it can hardly be said that the healing came. It should be noted that social rehabilitation is a mandatory element for complete recovery. This is all the more natural that a man – a social creature and his nature involves the life and interactions with others. The movement called Alcoholics Anonymous – is a community of people suffering from alcoholism, which allows dependent on making the first step towards re-socialization and adaptation to life among people. This community exists around the world and has extensive experience in the successful fight against alcoholism. Providing assistance in the “club” has an enormous support for those who need to go through new social acclimatization. As a rule, such groups are organized by the affiliates for the purpose of mutual aid. The group may consult any person suffering from the destructive addiction that prevents healthy and fulfilling live. 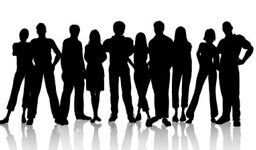 The only prerequisite for entering into such a group is voluntary, as well as a genuine desire to get rid of dependence. Dependent Groups are usually formed of 30-50 members who are communicating with each other; build rather close and trusting relationship. Such meetings, where you can meet somebody like you, can be a real salvation for the alcoholic. The fact that the patient who comes to this club is aware that it is absolutely nothing to hide and that he was surrounded by people who suffer from the exact same problem. It is no secret that psychologists have been arguing about what to share their problems with someone who is going through a similar situation; it is easier than with someone who does not know the problem of the “inside”. Patients, visiting the meeting, feel equal to others and know that all he had said would be perceived with understanding. This usually removes any mental blocks, allowing opening. Communicating with fellows sufferers – it is not only strong support, which at times can become a real stimulus, which will help to recover or not to break during rehabilitation, but also an outlet, where the alcoholic can speak out without fear of curves beliefs or convictions. No one else can understand the patient better than the person who has experienced or is experiencing the similar. The date of birth of the community of Alcoholics Anonymous is 1935, and the place where the movement was born – America. This is where a little less than a hundred years ago, Wilson and Smith have founded this community, which has already managed to save many lives and to support the millions of alcoholics all over the world. At the heart of the functioning of the community is a program called “The Twelve Steps”. The main purpose of the program is a radically changing of the self-image of the alcoholic, as well as changes his philosophy of life. Without a radical change of thinking, the work on this program can‘t be done. The program consistently shows good results, but also managed to find acceptance not only among a large number of dependent people but also among health professionals working with alcoholics. A simplified model of this program is somewhat similar to self-treatment – something like a situation when a physician performs an alcoholic for himself. Full spiritual reorientation – this is the goal that can be achieved using this technique. Radically changing the thinking of man, suffering from attraction for strong drinks, you can achieve that psychological dependence will be broken and defeated. It should be noted that the scheme of work, applied for alcoholics, has also been successfully adapted to work with drug addicts. Taking as the base the 12-step program, the experts were able to necessarily adjust it to work with those who are dependent on drugs. This was first done in 1953 and since then, hundreds of people are joining the movement Alcoholics Anonymous every day. 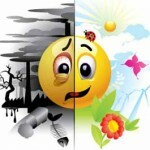 Nowadays programs of working with alcoholics and drug addicts are functioning in 200 countries all over the world. According to statistics, the general statistics of successful treatment of alcoholics has exceeded two million. Hard to believe that the psychological mutual help of addicted could cause such a considerable number of saved lives. propaganda of the own ideas and the opportunity to share their experiences with people who are in the same position. For historical reasons, during the Soviet period, the history of the program to get rid of harmful dependent traction had widespread due to the negative attitude of the authorities. The main reason for rejection was that the basis of the program based on the spiritual aspects that were considered unacceptable on the territory of the Soviet Union. Those who are concerned about spiritual matters, it is necessary to know that this program does not require belief in any spiritual principles and power. In fact, we are talking about other “faith”, namely that a person is able to overcome his destructive addiction by comrades helping. the principle of faith in hotel human forces, having the support of friends. Feeling the elbow and stay in the team is very important for the alcoholic who struggles to overcome his unhealthy attachment to alcohol. The effectiveness of this program is so large that it is successfully used in many clinics in the CIS countries, not only for the treatment of alcoholism but also for the treatment of other addictions. Coming to such clinic, you can connect to the program of 12 steps, which will win the craving for alcohol, grew into psychological dependency. Everyone can find a community of affiliates in the nearest large town and attend one of the meetings in order to make sure personally that the techniques used in the club are really effective, and dependent people get real help. In addition, everyone will be able to talk to those alcoholics who have already managed to achieve some success in dealing with their own addiction. Obtaining such a direct experience of communicating with those who are on the road to recovery is a great incentive for anyone who has any doubts about the effectiveness of the program and achieving results. 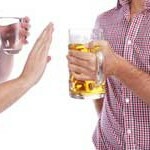 The acceptance that alcoholism is a problem for the patient – is the first step on the road to recovery from addiction. Without awareness of the problem, an alcoholic is unlikely to be successful during a visit to AA meetings. appeal to the community, where the meeting of Alcoholics Anonymous takes place. alcoholic knows where to go in order to find a society such as he is. In case, if the patient manages to get into the AA club and begin actively attending classes, working with his comrades, positive dynamics is not long to wait. In addition, for the alcoholic is important not only to help “colleagues” in misfortune but also friends and relatives, which should positively assess the patient’s willingness to deal with the addiction that destroys his life. Alcoholic who has decided to be treated with the help of AA, it is worth remembering that alcoholism – this is an extremely complex disease that includes not only physiological but also psychological aspects that require careful attention. It is important that the patient does not give up even in the case where there are some obstacles that prevent him from continuing the most successful group therapy. Commitment and perseverance – these are the qualities that are needed for patients who wish to try the effect of AA on themselves. It is known that physicians talk about three stages of alcoholism, each of which has its own characteristic and specific symptoms. Stages follow one another, seamlessly flowing into more complexes. In case, if neither an alcoholic nor his relatives have taken steps towards the psychiatrist and AA, the outcome is likely to be fatal. However, since in this case we are talking about a patient who agreed to make efforts to healing, then we consider the relationship of the various stages of alcohol dependence and the AA. It is clear that with each successive stage and the psychological and physiological state of alcoholic deteriorate. There is no secret that alcohol dependence can start as a tradition that accompanies the positive events: birthdays, anniversaries, gatherings with friends. A further quality of drink beverages, as well as those friends with whom potential alcoholic spends time, may gradually deteriorate. The idea is that a person becomes so important to someone and that he drinks because he needs to temporarily satisfy his craving for the bottle. At this stage, the patient does not understand that there has formed a dependency on alcohol, which is necessary to be treated and the sooner – the better it is. talk to an alcoholic who drank and has stopped successfully. The near future of dependent relative depends on whether somebody notices the problem. If readers have realized that their family member, friend or colleague has already attached to alcoholic beverages, you should definitely pay attention to this problem and take measures that will preserve the mental, spiritual and physical health. AA club may be the way out, which will help to destroy the already formed addiction in the early stages. In the second stage of alcoholism, which occurs due to the fact that earlier attention to the problem wasn’t paid, the patient begins to suffer from a permanent hangover. 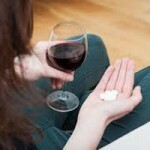 At this stage, the patient has constantly to drink alcohol and begin to increase the dose of alcohol. Alcohol becomes an integral part of the metabolic processes of the body, destroying it and undermining the health of the patient. The metabolites of alcohol – are extremely toxic to the body. After passing through the liver, alcohol as alcohol in the form of products of decay begins to poison the body of the alcoholic. Further metabolites may cause different physiological conditions that provoke psychosis. implementation of the specialists’ requirements. Only in the case when the patient really wants to get a treatment, he will be able to take advantage of all the benefits that are provided by the support of fellows at the club. In case if an alcoholic doesn’t feel the need to get rid of the addiction, visit the club is unlikely to be any practical sense, though there are known cases, when coming to the club without the desire to be treated and talking to other alcoholics, the patient changes his mind and starts treatment. It should be noted that the system of 12 steps is most effective at an early stage of alcohol addiction when patient’s alcohol problems are purely psychological. There is also a physiological dependence, characteristic of the second and third stages, the treatment of AA in the club can’t have any effect, because during this period the patient already needs a medical care of professionals, rather than psychologists and sociologists. Why does at II-III stage alcoholic necessarily need a psychiatrist? 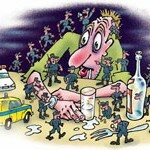 As mentioned above, the more advanced case of alcoholism, the more severe help is needed for the. Alcoholics, whose experience of the use of alcohol is large enough, need the help of the psychiatrist who treats not only with the psychological tools but also with the help of medical devices and drugs. It is worth emphasizing that drug treatment – is more versatile than psychological treatment because the psychiatrist can always supplement the methods of one group by the methods of a different nature (psychological – by medical and vice versa). unstable and even deplorable condition of many organs and systems, which require further monitoring by doctors. It should be noted that Alcoholics Anonymous and more traditional drug treatment – are two ways of the fight against alcoholism, which are used at different stages of treatment. In addition, we must not forget that patients are different: for someone more important is to get the moral support that will make work wonders in the fight against the disease, but someone much more need medical treatment, because the body has already suffered too much from the effects of alcohol. It is worth noting that the right choice of the method of treatment involves a preliminary consultation with the psychiatrist, who is able to assess the condition of the patient properly and to prescribe only psychological methods of influence or any medical therapeutic techniques in combination with mental influence. Independent choice of methods is usually quite complicated because it is difficult for the patient to set himself the correct diagnosis and determine the severity of the addiction. Referring to the drug specialists, you can get a detailed consultation and to determine about whether the reference to AA will be effective in this case. We mustn’t forget that alcohol – is a serious disease, damaging both physical and mental, and it means that the treatment of alcohol dependence is needed and should be used as a drug treatment assistance, and help AA communities (in the early stages of therapeutic effect on alcoholic). An experienced drug specialist certainly would advise turning to Alcoholics Anonymous in the case if the patient does not even need treatment with use of drugs.